When food is scarce and there are no grocery aisles in sight, one has to get creative with food sourcing and settle for basically anything that can pass as edible. However, matters get much more complicated when special dietary needs are a part of the equation. People with gluten intolerance or celiac disease cannot afford the risk that comes with eating food that is not in accordance with their diet. Even traces of gluten can cause health problems that are rather difficult to solve at times of emergency, with resources being limited and danger looming. If you are on a gluten-free diet, having emergency food that suits your diet is of crucial importance. You never know when something can disrupt your everyday life and have you relying solely on what you have in stock. Our experts have scoured the web, looking for the best gluten-free emergency food. After a long process of searching, sampling, and analyzing the quality and content of the products available, we have come up with a list of the best gluten-free emergency food products on the market. Check out our top selection in the table below. With a gluten-free diet, there is no room for taking chances or any traces of the potentially harmful substance. All items on this list are 100% gluten-free and characterized by high quality, excellent taste, and long shelf life. They are designed to satisfy your dietary needs and fill your body with valuable nutrients when you need them most. Now, let us take a closer look at our top-ranked gluten-free emergency food choices. Main Features: Assortment of 5 different dishes plus whey milk as an addition to your meals. Easy to transport and stack. 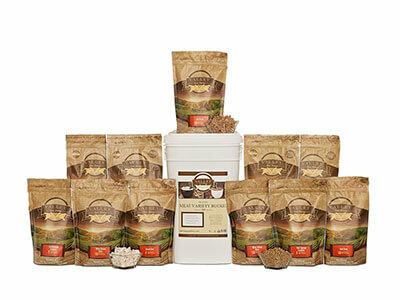 This bundle is a great choice if you want to have nearly all of your dietary needs covered in a single purchase. It packs 84 servings of delicious, 100% gluten-free dishes, including teriyaki and rice (12 servings), loaded baked potato casserole (16 servings), tomato basil soup (16 servings), potatoes and chicken flavored pot pie (12 servings), and creamy yogurt style dessert (28 servings). On top of that, you get 120 servings of nutritious long-term whey milk. Apart from covering the needs of people on a gluten-free diet, this bundle also contains 3 completely vegetarian dishes, 44 servings total, so it can also satisfy the needs of the veggie lovers in your family. All meals are low in calories, ranging from 50 to 270 calories per serving. Each product in the bundle comes with detailed nutrition information, so you can keep track of your intake of nutrients and make sure your diet is well-balanced in spite of the circumstances. Everything is conveniently and safely packed and thanks to the long shelf life, the bundle is both easy to store and durable, meaning it can sit on the shelf patiently until it the time comes to crack it open. An emergency is not the time when comfort and fine dining are your primary concerns. However, it is crucial to eat right in order to have enough energy to endure the crisis. This assortment of completely gluten-free, non-GMO vegetables and side dishes allows you to make your meals complete or have a handy snack whenever you need it. 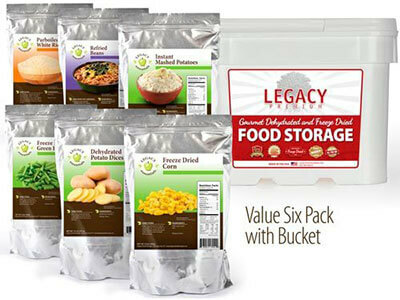 The sides included in the package are instant mashed potatoes (30 servings), potato dices (12 servings), green beans (28 servings), corn (20 servings), parboiled rice (30 servings), and refried beans (15 servings). All of these side dishes are not only free from gluten but also vegetarian-friendly. Apart from being rather delicious, the dishes are high in fiber, contain sea salt, and they are low in cholesterol, fat, and sodium. That means that they can help you maintain a healthy diet regardless of the circumstances. On top of that, they do not contain any MSG, trans fats, HFCS or any other artificial or harmful substances. Their freshness is ensured by the use of oxygen absorbers and nitrogen flushed pouches. The bags are resealable, so you do not have to use up the entire content at once and the food can last for a whole year after the seal is broken. Legacy truly lets you eat like a king. With this great 100% gluten-free entree bucket, you can go through any emergency with your head clear and your stomach full. The variety of dishes is quite impressive and the quality is high, as expected. The average calorie count per dish is 341 calories. The entrees you receive in the bucket include Italian pasta with Marinara (8 servings), pasta Alfredo (8 servings), pasta Primavera (8 servings), enchilada, beans, and rice (8 servings), Stroganoff (8 servings), cheese and broccoli bake (8 servings), Hawaiian style sweet ‘n’ sour (4 servings), creamy a la king (8 servings), vegetable and rotini pasta (4 servings), chili mac (4 servings), macaroni and cheese (8 servings), cheese and broccoli soup mix (4 servings), cheesy potato soup mix (8 servings), creamy vegetable and rice soup mix (4 servings), creamy potato soup mix (8 servings), spicy corn chowder soup mix (4 servings), southwestern soup mix (4 servings), classic chili mix (8 servings), and white bean chili mix (4 servings). Just like the previous Legacy product on our list, this entree bucket features dishes that are in complete accordance with the rules of the gluten-free diet. They are vegetarian-friendly and an excellent source of fiber. Finally, they are also free of GMO, do not contain trans fats, and are low in cholesterol and fat. When emergencies last longer than expected, you can do nothing but keep your body in good shape until the dust settles. 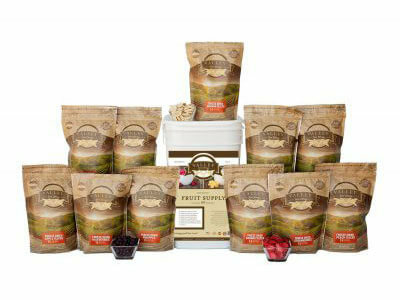 This bucket of freeze dried fruit and vegetables is easy to store and transport and it can help you maintain your valuable nutrient intake at an optimal level. It allows you to enjoy delicious food that takes minimum effort and time to prepare. Completely gluten-free, dairy-free, and vegetarian friendly, it is an excellent solution for a healthy diet during tough times. The bucket contains apple slices (15 servings), banana slices (15 servings), peaches (15 servings), pineapple chunks (15 servings), strawberry slices (15 servings), green beans (15 servings), sweet corn (15 servings), peas (15 servings), potato dices (15 servings), and tomato dices (15 servings). Thanks to the excellent, sturdy packaging with oxygen absorbers, the fruits and vegetables have a long shelf life and they are as nutritious and delicious as the ones fresh from the farm. With such variety of food, this bucket opens up endless possibilities and allows you to cook up any meal you wish. The fruit is suitable for pies and cobblers, smoothies, muffins, ice cream or anything you like. You can use the vegetables to make wonderful vegetarian meals, such as soups, omelets or casseroles, or you can serve them as nutritious side dishes. Emergencies can take a lot out of you, which is why it is crucial to get enough energy from your diet. 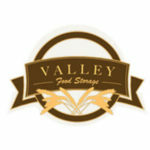 This Valley Food Storage freeze dried meat bucket allows you to quickly prepare a delicious, protein-packed meal that can give you the strength to deal with any difficulty. 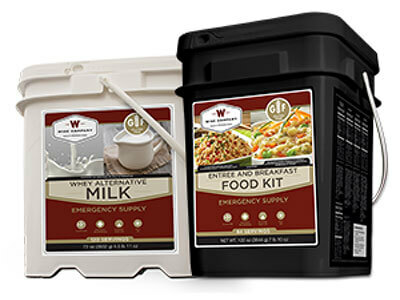 It is a great gluten-free, dairy-free solution for emergencies, as well as all kinds of outdoor adventures. The delicious food that comes in this handy package includes 30 servings of chicken, 30 servings of beef dices, 21 servings of ground beef, and 14 servings sausage. 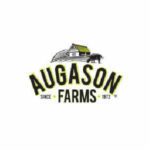 We are happy to say that the meat is completely natural, GMO-free, and it does not contain any preservatives or additives that would compromise the quality of the product. Thanks to the high-quality mylar bags hand flushed with nitrogen, there is no need to worry that your meat can go bad before you get to use it. You can throw the meat straight into the meal of your choice and let it soak up the juices or rehydrate it in warm water, give it some extra flavor using the cooking method of your choice, and enjoy it on its own. It is delicious, no matter how you prepare it. People who are on a gluten-free diet know that it is hard to find good food that meets their dietary needs even in the most ordinary of situations. That is why stocking up on high-quality gluten-free emergency food is a sound decision that you can only truly appreciate once you find yourself in a situation where any kind of food is hard to come by. With the delicious food featured above, you can make sure your needs are met even when things go south. You can prepare and enjoy the meals you love and cook every day or have an instant solution for your cravings, without any cooking whatsoever. We have made sure that every product on our list meets the strict criteria of food quality and diversity. None of the food items listed above contain any artificial substances that are bad for your health and the variety of dishes, fruits, vegetables, and meat guarantees you can provide your body with everything it requires in order to function perfectly. High-quality packaging is also extremely important, as well as the preservation method (freeze drying and dehydration), as they allow for the long shelf life of the products. 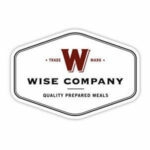 The minimum shelf life of items featured here is 10 years and the sturdy mylar bags and heavy-duty buckets are there to make sure all food stays in perfect shape. 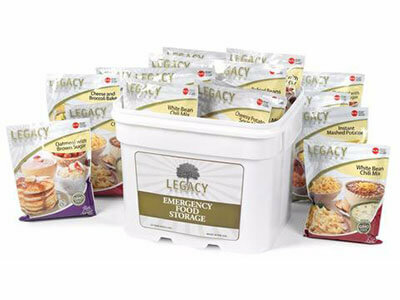 We hope that we have helped you make the best possible choice for your emergency food storage with this expert-made selection of the best gluten-free food currently available on the market. After sampling all the delicious food on this list, we can honestly say that you cannot go wrong, no matter which item you pick.